A rose boutonnière detail shot as it is pinned. May 15 2015:.The wedding images of Dani and Daryl taken at The Jupiter Civic Center in Jupiter, Florida. Here another close up of the wedding details. 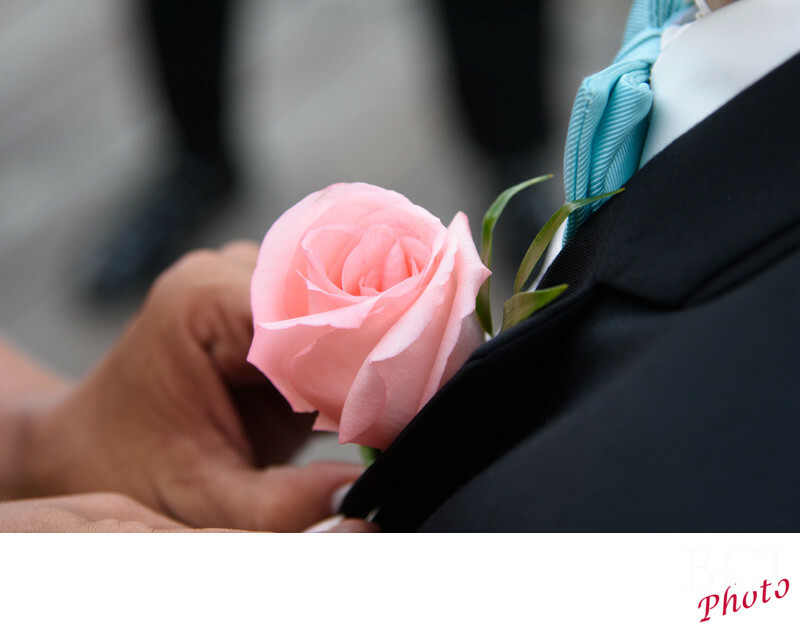 Here a boutonnière is pinned to one of the groomsmen. We love capturing these from different angles, sometimes showing the person involved, often not as in this case, which lends more power and attention to the flower itself.